If you’ve been assigned the important task of planning an event, you’re going to need a foolproof checklist to keep everything in order and to guarantee your event will be a raging success! 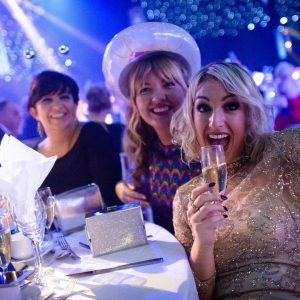 There’s a lot to plan for an event, so we have created the perfect event planning checklist to ensure that at the end of the big night, you can sit back knowing you’ve ticked off all the boxes and most importantly, your guests have had a brilliant experience. Tried and tested, your event goal should be determined using the SMART methodology to help make your goals realistic. For example, if you’re planning a fundraising event, set a specific goal to determine a positive ROI from your event: to raise proceeds for our chosen charity. How can you make your goal measurable? You can’t set a goal without allocating a measurable target. For a fundraiser, summarise how much money you need to make to cover the cost of the party, and set a measurable target to identify the proceeds to raise for your chosen charity. Of course, if you’re setting goals, you need to be realistic about the impact of your event and be confident that they’re achievable. If you want to raise a large sum of money for your chosen charity, this will rely on how many guests can attend vs the cost of planning an event. For example, you could set a target of selling 20% more ticket sales than your previous event or set a goal to confirm 75% of your attendee’s attendance. Finally, your goals need to be time specific, which can be based on the duration you have to plan the event. Setting these types of goals will help you understand your return on investment (ROI) and whether it’s worth hosting another event based on its success. Once you’ve set your goals, it’s then time to work through your all important event checklist. To get going, it’s best to outline everything you have to organise and work backwards from the date of your event. For example, if your event is in six months time, divide your timeline by three, accounting for the week running up to your event, and review what you need to prioritise on the event day. Once you have your timeline in place, you can start to allocate when you need to action tasks, based on the deadline. Work out your costs and allocate a budget for each component. Be as realistic as possible about your budget. Too low and you could be quickly disappointed by the limitations and quality of either food, venue or supplier, whereas too high a spend could impact your ROI and the level of work required to achieve your targets. 2. Find your event provider. 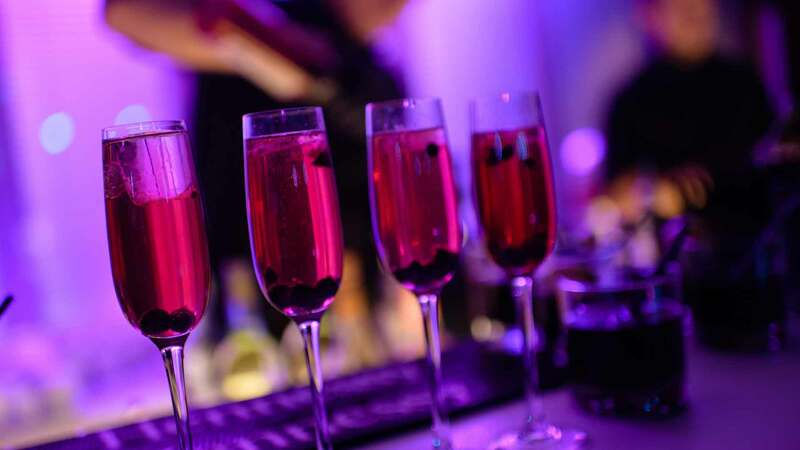 An event organiser will help create an exclusive night you won’t forget. Event planners have access to all the recommended contacts you need to create a spectacular party, so you don’t have to spend hours doing the research. From working with a catering company to negotiating the best deal for entertainment; an events provider will be there every step of the way to organise and take some of the stress away from you, ready to have everything in place for the special occasion. 3. Discuss the date of your event. The date of your event may be impacted by your choice of venue. You may already have a date in mind, so work out the best and worst case scenario in case it’s not available or whether it clashes with another event. 4. Find a suitable location and venue. Finding the right venue is important not only so can it host the type and theme of the event you have in mind, but also so it’s accessible for your guests. The time to travel to an event can affect attendance, so bear this in mind when choosing your location. Choose a party theme that’s going to be entertaining for your audience and is on brand with the personality and charm of your company or product. Once all of the above is finalised, it’s time to start promoting your event! Once you’re ready to promote your event, write down all the ideas you have and then select three methods you can prioritise based on your budget and resource. Raise the event profile on social media and create an exclusive page on Facebook. An event page can help you gauge how many people are interested and who will attend your event in advance. 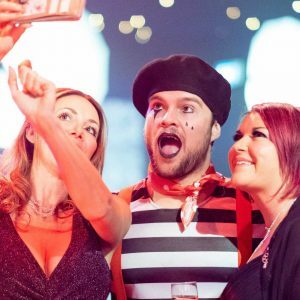 Creating an event page on social media also allows guests to comment and message you with any queries ahead of the big night. It’s best to allocate a designated person to manage the event page so that they can be as responsive as possible to any enquiries. There are also some other helpful event tools which can help inform, raise awareness and enable guests to register for a ticket. Depending on the type of event, setting up a website and creating printed material can also be effective to nurture the interest of your guests, and to build anticipation ahead of the event. In particular, if you are promoting a product, have you got a website ready to inform users searching for your product and event online? Setting up a website will require a solid platform to cope with the level of traffic, to be mobile optimised and, similarly to managing a social page, the site will need updating regularly with content to keep your guests informed and up-to-date with the progress. The location of your event can affect what vendors you’re able to hire. Selecting from a list of local vendors who can travel to your venue easily is a good place to start, as costs can soon add up for suppliers who need the price of their travel covered. If you anticipate featuring a spokesperson at your event, it’s time to start contacting the relevant speakers to check if they can make it and to get a quote. Once you have this arranged, you can create new content to update your guests on the event website and Facebook event page. 4. Stay on top of your budget. As your vendors and speakers confirm their availability, you’ll need to check that your costs are on target. Do you need to make any adjustments if you’ve been quoted an amount which is higher than expected? Keep your guests up-to-date during the run-up to the main event. Offer a sneak peek on what you’ve got planned to generate and maintain their interest – they won’t be able to turn you down! Don’t rely on your Facebook event to assume how many people are attending. Personalise your approach and if you have contact details, give your guests a personal call to follow up on their acceptance – make them feel special! 2. Confirm (again) with your vendors. Finalise any remaining tasks and queries with your vendors; whether that’s confirming or making last minute changes to the menu; confirming the time your entertainment should arrive; organising any permits required for an event off-site; and whether you need to source any equipment so they can set up efficiently. 3. Update your promotional material! As you’re nearing the event date, don’t forget to post a countdown to the event post and remind your guests on the key information they need to know to attend (location, time, date). The big day has arrived! 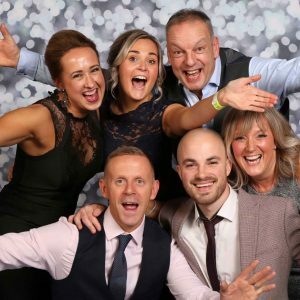 Since you’ve done a huge bulk of the hard work leading up to the event, there are just some final things to tick off to ensure your party will be a huge success. Create a clear ‘on the day’ list so when you wake up in the morning, you know exactly what you need to get done before your guests arrive, and how to manage the event when it’s in full swing. Check who has arrived first and make sure to look after these guests. It can be awkward arriving first, even if you turn up within a group of people. As your guests arrive, they will judge the quality of the event based on what is happening, so it’s important to be on top of your game as soon as they walk through the door, no matter who or how many people that is. Check in with your vendors to see how they are doing. Is the set up going according to plan? Do they need help with anything? Double check when they plan to leave so that your entertainment can pack everything away seamlessly without interrupting the party. Once your guests have arrived, check in with them to see if they’re having a good time. If they’re unhappy with something, you don’t want to miss the chance to fix the issue right away. You’d hate to have gone to all that effort to then receive a bad review, based on a problem that could have been solved there and then. Check that your speakers have arrived as planned and they have enough time to prepare for their moment in the spotlight. Ensure that they are set up correctly on stage, whether that’s providing them with water, checking that they know where and when to exit and if there are any time restrictions they need to be aware of in case things overrun. Congratulations, you’ve just hosted a fantastic party and everyone had a great time! Now it’s over to you to thank your guests, the vendors and the venue for being involved and attending a successful evening. Planning an event may seem like an overwhelming task, but if you follow the recommended steps from our checklist you will have no problem planning a successful party! As long as you plan ahead, know your goals and keep your guests up-to-date with the party essentials, organising a party will go smoothly. Thinking of throwing an unforgettable event? Speak to a member of our team to discuss your party requirements. We’ve received a great range of party requests, so don’t hold back if you have any specific additions.